The US has an ever growing database of valuable coins. If you are an eager collector, you won't lack for options to add to your current collections. You just have to know the basics of what, how, and why – what to collect, how to obtain them, and why should you give them a space in your treasure box. But before we delve deep on how to become an excellent coin hunter, let us first review the history of this pastime. We will give you an idea what the fuss is all about so you will be able to identify the path to success, even if you are only a beginning quarter collector. Read on for our ultimate guide to rare and collectible quarters to jumpstart your entry in this field. Coin collection has been around since time immemorial. In fact, it might have been around as early as coins existed themselves. People who get into this hobby are not only after the fun of it but more so of the promising revenues that await. Rare coin collections can exponentially exceed their face value and make anyone a couple of dollars richer or more. People who are into collecting coins have a choice on what specific kind to pile up. You can opt for a penny, a dime, half a dollar, a quarter, or all. It depends on your interest and good are you in spotting rare denominations that will boost the value of your collection. Those who are into collecting quarters are in it for the fun and the challenge. There are also some who are into it to make a meaningful investment. Others, however, are after the rich culture that was embodied in the collection. US coins--quarters in particular-- have various incarnations and variations, which stand for something very interesting to discover. 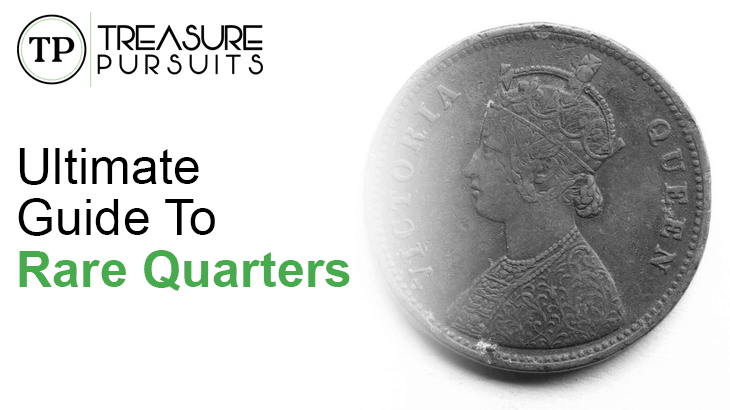 Although quarters represent a minute part of the available stock, their vast variations spanning different eras and generations will surely give your collection enough depth. No matter what the reason behind your interest in becoming a quarter collector is, the more important things is to make sure your heart is really into it. Like in any type of collection, collecting quarters requires some time, effort, and lots of patience. Plus, you also need knowledge, enough know how that will show you the right path. Our ultimate guide to rare and collectible quarters is made exactly for that. Numismatists or those who are involved in the study and collection of currency and related objects are very much obsessed on improving the value of their collections. Some coins are worth no more than their face value but others could go well beyond, enough for those who have them to become richer when numismatists get wind of what they have on hand. How in demand the coin currently is. Like any commodity, coin buying follows the Law of Supply and Demand. This is the reason old, rare coins are far more valuable than new ones, which are still in circulation. When a coin becomes in demand among collectors simply because they find it interesting, it ups the value of the coin as well. How well the coin is graded. There are standards that separate valuable coins from less valuable ones. The grade of the coin is one of those. Simply put, each piece is graded from 1 to 70. Where your coin ends up in the yardstick depends on its state, if it has any unique or interesting feature, and how much wear is reflected on it. One secret to maintaining a high-grade coin is to avoid cleaning it without expertise. If you not have significant know how, you are likely to end up producing scratch and a sign of wear on your coin if you continuously clean it. Cleaning may also obscure a coin’s highlights, which can decrease its value. We will give you tips on grading coins and on cleaning your collectibles without downgrading their value down below. Keep reading. What unique features are in your coin? Coins have specific marks and features and they are often the source of a collector’s interest. The mint mark, or where the coin was minted, is one specification that is sought after. An initial stamped on the coin defines its origin. CC stands for Carson City Mint, D for Denver Mint, O for New Orleans Mint, P for Philadelphia Mint, and S for San Francisco Mint. Why does mint determines a coin’s value? That’s because different mints produced a different set of designs. They also existed in different years. Coin grading is the most important, by far the most effective, way of weighing a coin’s value. As mentioned earlier, coins are graded according to the standard 70-point scale. The purpose of this process is to determine a coin’s market value according to how well it was preserved all these years. You will never learn what a 1967 quarter is worth these days if you do not present it to experts who will in turn grade it using several measures. As it is, unused coins, which are stocked perfectly since it was minted are of high grade value. On the other hand, the signs of wear and damage that are reflected on how many scratches the coin suffered through the years will weigh it down. The Sheldon Scale is the benchmark of coin grading. It uses a system that measures how much wear it has had and where in the 70-point scale does it fall in. If you study the Sheldon Scale carefully, you will realize that there are thin lines that separate one from the rest. Only known experts could tell the difference between a G-4 and a VG-8 in the same way with an AU-50 and an AU-58 or an MS-69 and an MS-70. One thing you must understand is that, the scale used for grading coins fall under three categories. 1-49 are for Circulated coins, 50-59 are for About Uncirculated coins, and 60-70 are for Mint state coins. The categories are not a continuation of their predecessors rather an entirely different grading state that pertains to different classes that collectible coins and quarters belong to. In the process of coin grading, the first step is to have an excellent light source, which will allow you to see through the important details and features as well as wear and damage marks. An excellent grader would have a lamp close by and a decent magnifier at hand. Only good quality lamps with at least a 100-watt bulb and magnifiers that magnifies 5x to 8x are considered acceptable. Second, you need to establish in which category does the coin falls into – Circulated, About Uncirculated, Mint State. If it is absolutely uncirculated and still looks like new, it’s under the Mint State category; if it has only the slightest hint of wear, especially on the high points, it’s under the About Uncirculated category; if it is obviously used, battered, and worn down, it’s under the very common Circulated category. Third, find out from which part of the scale of a particular category does the coin falls into. This is where the tricky part lies. Providing a coin with the most precise grade requires some expertise and a significant amount of knowledge. You need to determine the correct grade for each and every piece of coin that you have at hand, looking closely at state quarter errors and other important details. Since coin grading plays a huge role in establishing a coin collectible’s actual market value, it is very important that it is done properly. Do not take it easy just because it is a judgment call. Strict implementation of the guidelines is crucial. Remember that you need to be objective when handling this process to ensure that it coughs up positive results. For the most part, there is not much you can do to improve the value of your coins in general and quarters in particular. Still, you can try cleaning your collection and polishing its current state so it falls under a higher grade in the standard grading system. Just like with coin grading, coin cleaning must be handled carefully. You would not want to cause more harm than good. Here, we will give you a helpful guideline on how to clean your coins, including that 1965 quarter that’s been sitting in your purse for long. 1. Clean your hands: Before getting your hand on any of your collection, you must first ensure that both your hands are spiffy clean. Use soap and water to remove oils and tiny grits from your hands, paying attention to the spaces in between your fingers. Pat your hands dry with a clean towel. 2. Lay down a white, soft towel in your workspace: This will serve as a catch basin for any coins that you might drop along the way. 3. Get a plastic container and put some warm tap water in it along with a dishwashing detergent. Plastic containers are preferred for cleaning coins because they would not risk scratching your coins like hard metals, china, and glass. 4. Put your coins, one at a time, onto the soap solution, cleaning them by rubbing both sides gently. Always work from the center and then outwards. If you put the coins that need cleaning altogether onto the soap, they could cause scratch marks on one another so be sure to avoid doing so. It is also very important to remember that you must apply gentleness every time you handle your coin. Be mindful about touching them by the edges, careful not to touch their faces, unless you need to. 5. Use distilled water or hot tap water for the final rinse. Place it in another plastic container where the cleaned coin will land after stickiness and gunk are removed. 6. Perform a final rinse by putting the coin through some running distilled water or hot tap water. 7. Dry your coins by laying them down a clean, soft towel, one by one and very much apart. Air drying is highly advisable. 8. Put your cleaned and completely dried coins in a suitable container. Preserve the discoloration in your gold and silver coins. Some people refer to it as tarnish but in coin collecting communities, it is known as toning. If you have a 2003 gold quarter with some discoloration, better get your hands off it. Toning is actually one factor that could boost your coin’s value without you knowing it. Only use a mild dishwashing soap when cleaning coins. Silver and gold cleaners are no-no because they can easily cause harm to the fine details that you are supposed to be taking care of. Proper handling and storage is key. You will not need to clean your coins repeatedly if you know how to preserve them properly. Keep them in a coin album or coin case that are of professional grade. Remember not to keep them taped in a box or album because the adhesive may cause discoloration and other forms of damage to your coin. Coin collecting can be very beneficial for hobbyists. To succeed in this field, you must learn the ins and outs of the trade – from grading the coins to cleaning them to determining their value, and more.